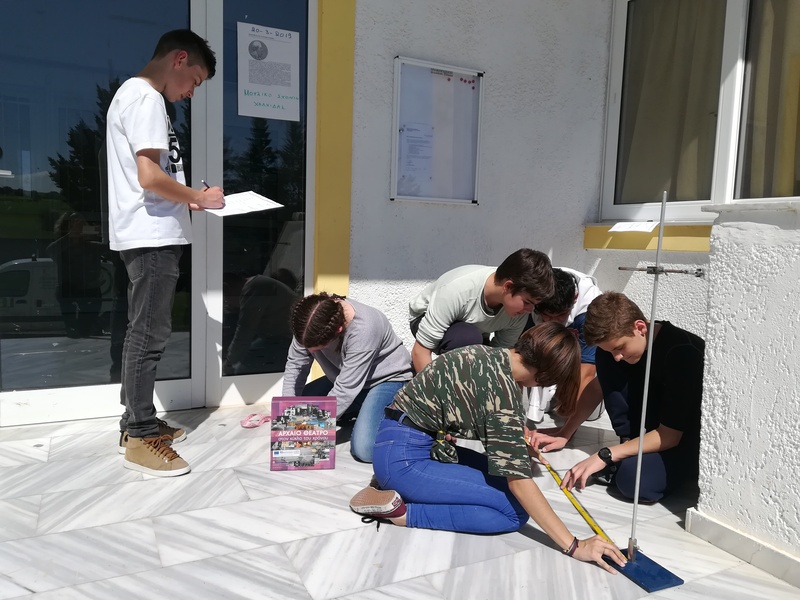 Primary school Suhopolje in Suhopolje, Croatia participated in Eratosthenes experiment 2019. 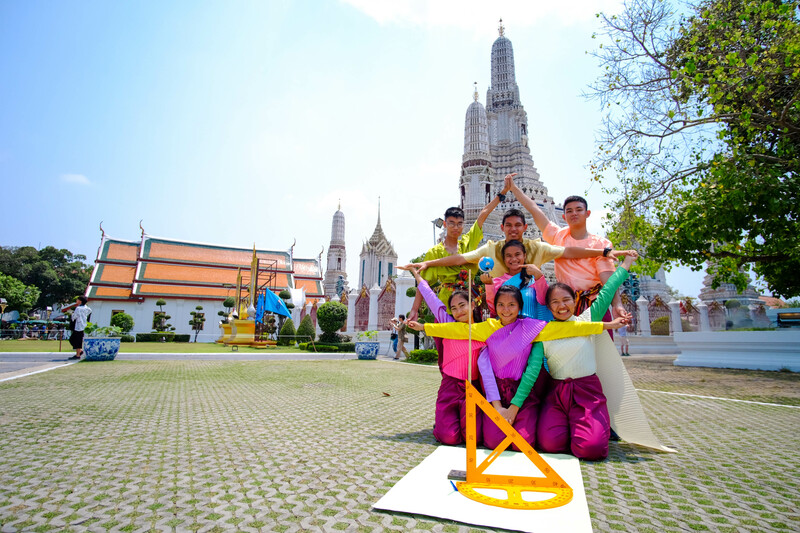 We would like to participate in photo contest also. 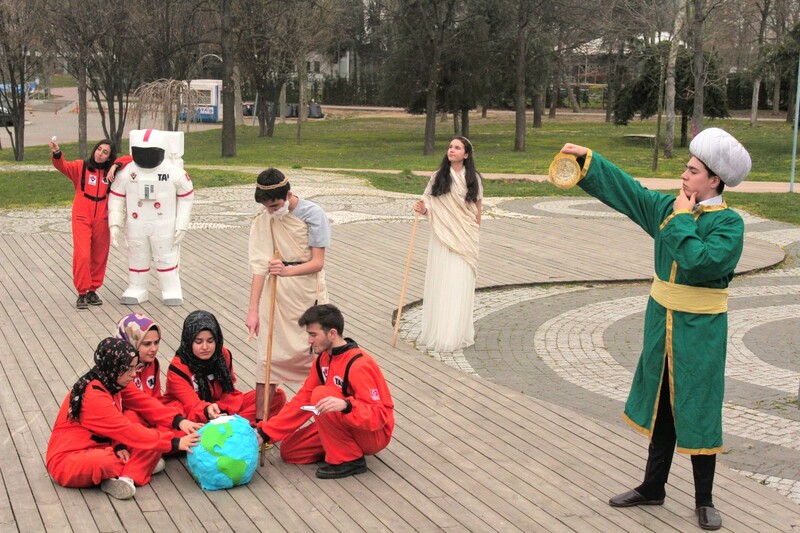 Cumhuriyet Secondary School in Istanbul/Turkey- We used Raffaello's Athen School theme for this photos. We gained 3rd, 2nd position in the last year. I hope, we can gain 1st position in this year! Thank you every one who made this experiment a big science game. Η ομάδα Δ.Ε.Σ. (Δήμητρα/Έλλη/Σύλια) των κοριτσιών του Δημοτικού Σχολείου Σταυρακίου, πραγματοποίησε το πείραμα του Ερατοσθένη στο «2ο Φεστιβάλ Επιστήμης και Αειφορίας» στο πλαίσιο του ISCAR 2019. Μαζί μας και ο Νίκος Σιούλας με το τηλεσκόπιό του που έδωσε την ευκαιρία σε μικρούς και μεγάλους να ατενίσουν τον ήλιο και τις ηλιακές κηλίδες. 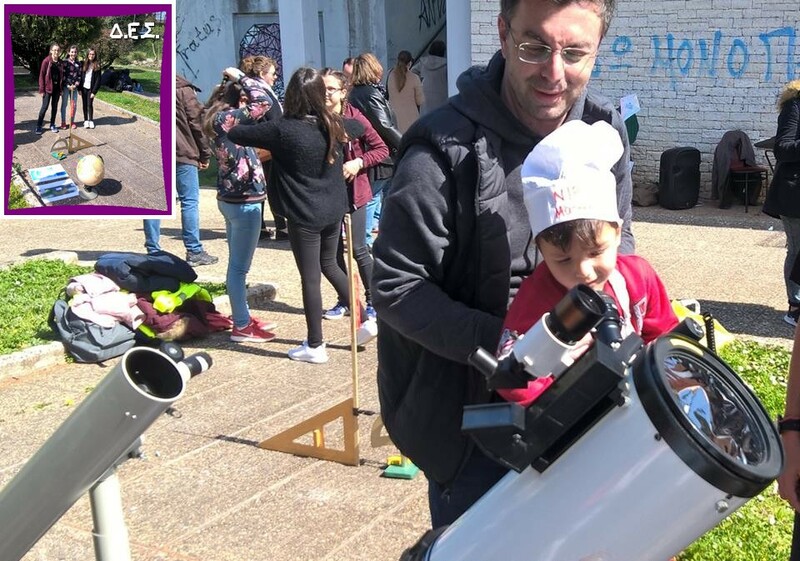 Ραντεβού τον Σεπτέμβρη για την επανάληψη του πολύ ενδιαφέροντος πειράματος του Ερατοσθένη!!! 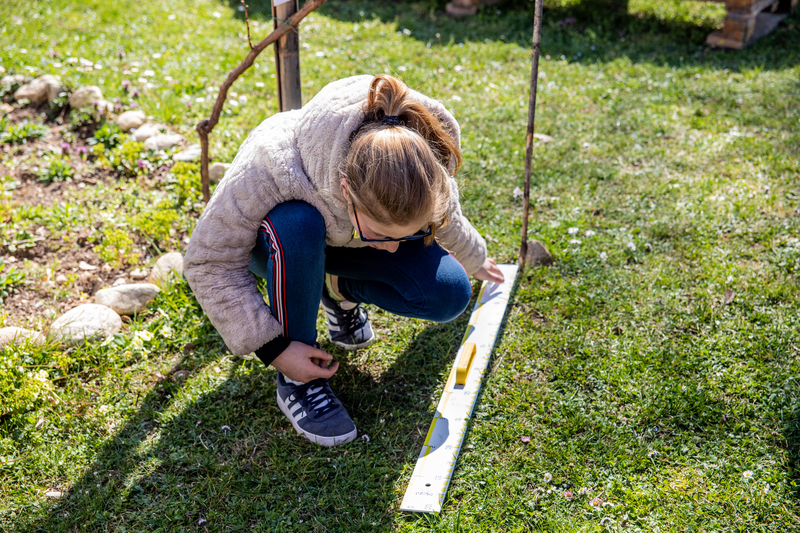 The measurement was done on Tuesday 19/3/2019 because the sky the other days was not clear at all. 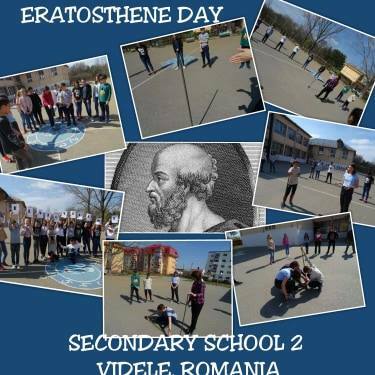 Primary School Odra, Zagreb, Croatia: our 8th grade pupils during the Eratosthenes Experiment. Hello everyone from São Tomé and Príncipe. 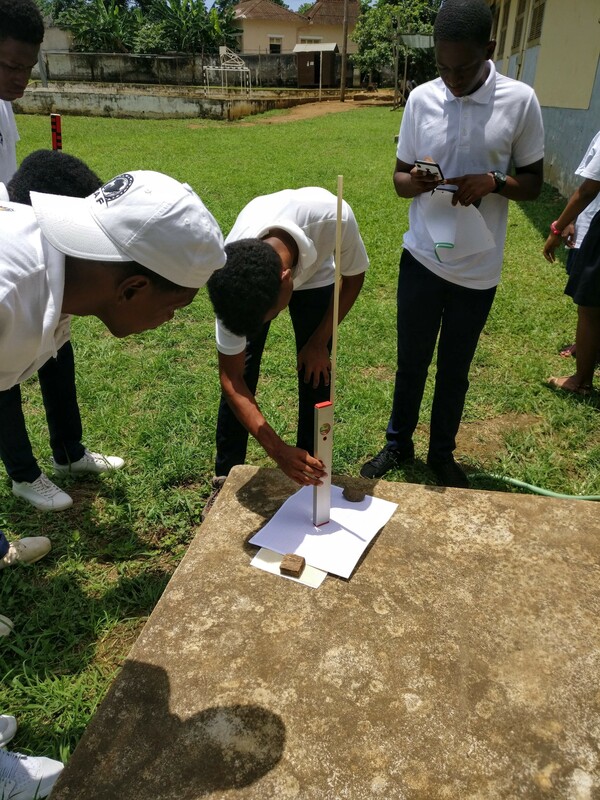 My name is André Freitas and I teach Physics at the Portuguese School of São Tomé and Príncipe - Center for Teaching and Portuguese Language.The clouds dissipated and allowed to measure the length of the shadow on day 21. 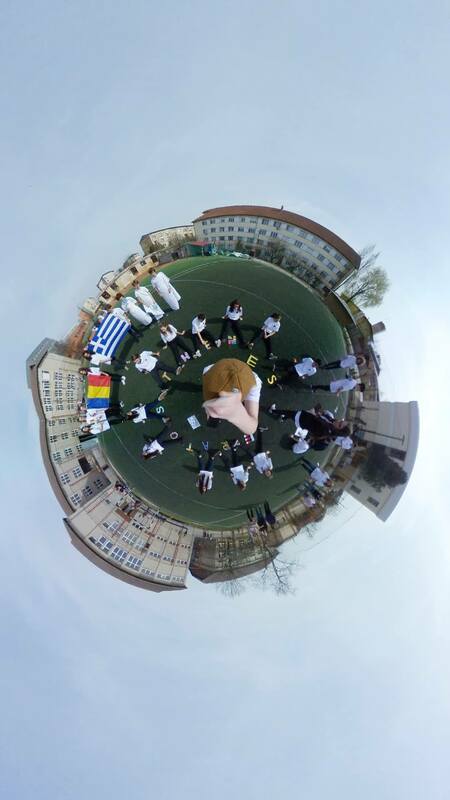 It was a pleasure to work with schools from different countries! 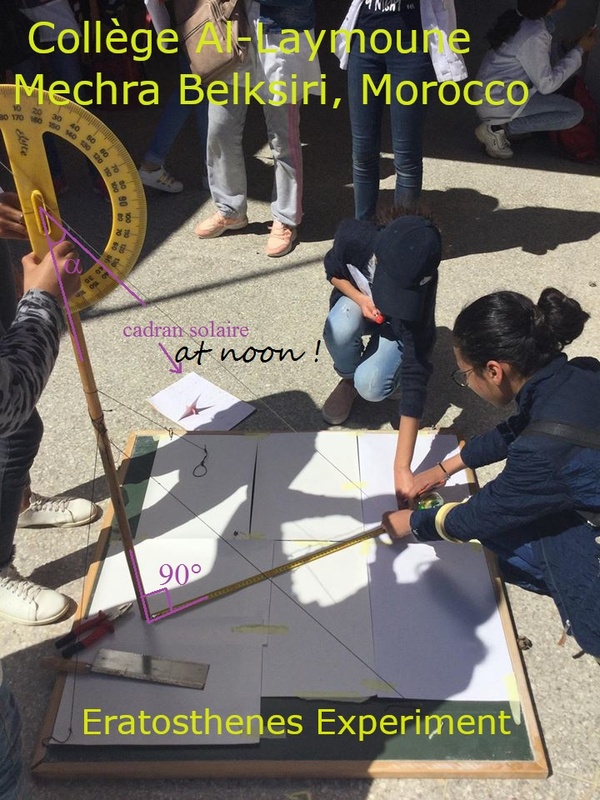 It was the first time for me and my students to carry out an Eratosthenes Experiment. 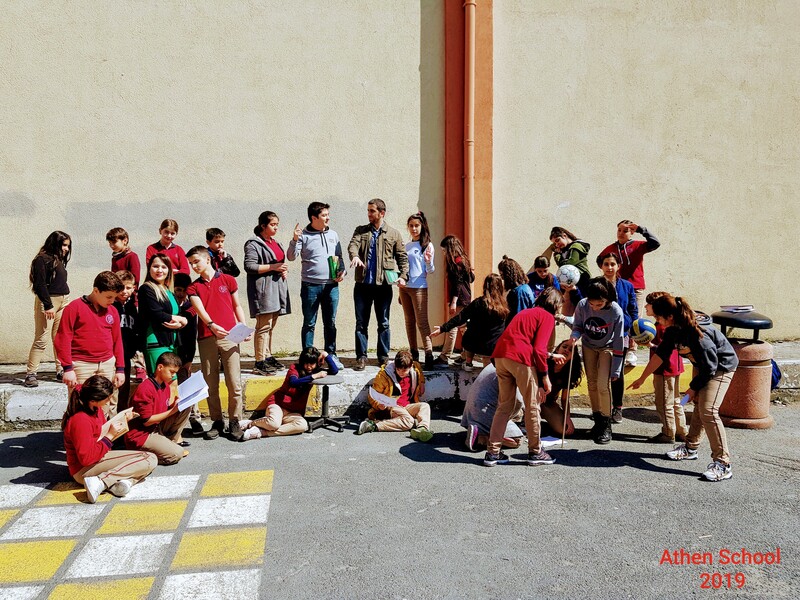 We, especially my students, were very enthusiastic to count and know the circumference of the earth, you can see it from their sincere smiles and laughter in our photos. 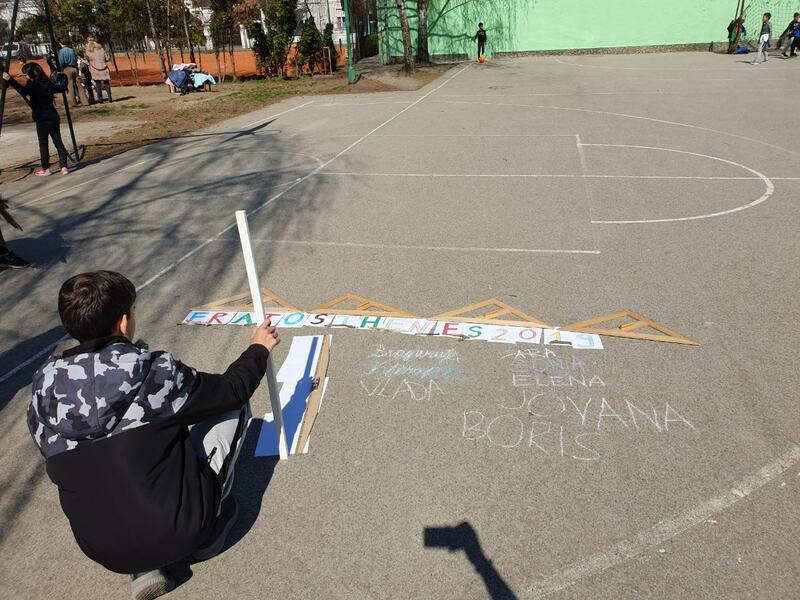 Primary school Vasa Stajic in Novi Sad, Serbia participated in Eratosthenes experiment 2019. We would like to participate in photo contest also. 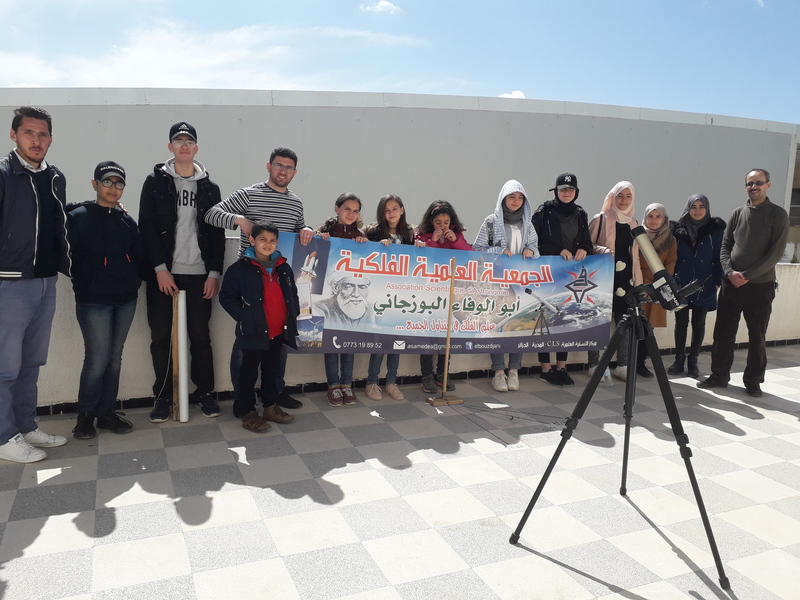 Hi everyone , this is our picture of Eratosthenes experiment, in the location of the Scientific Astronomical Association EL BOUZDJANI from MEDEA - Algeria. We hosted this year students are from Elementary, Middle and Secondary School. Hello everyone. 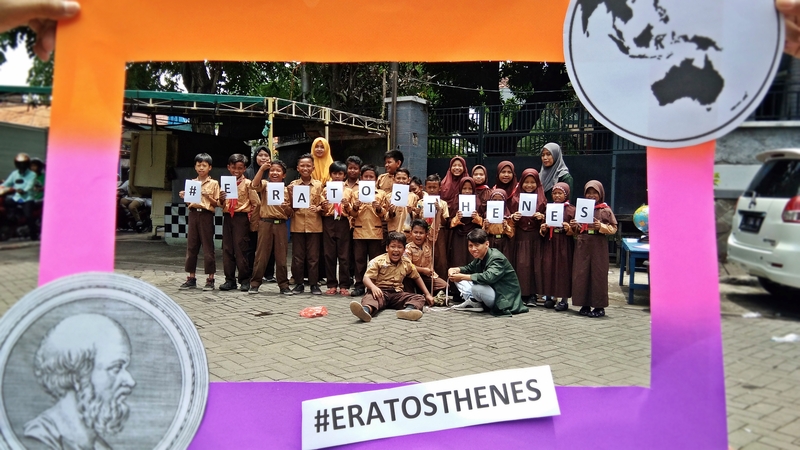 We participate in the photo contest with scientists such as Eratosthenes, Hypatia, Ali Kuscu and astronauts representing our day. 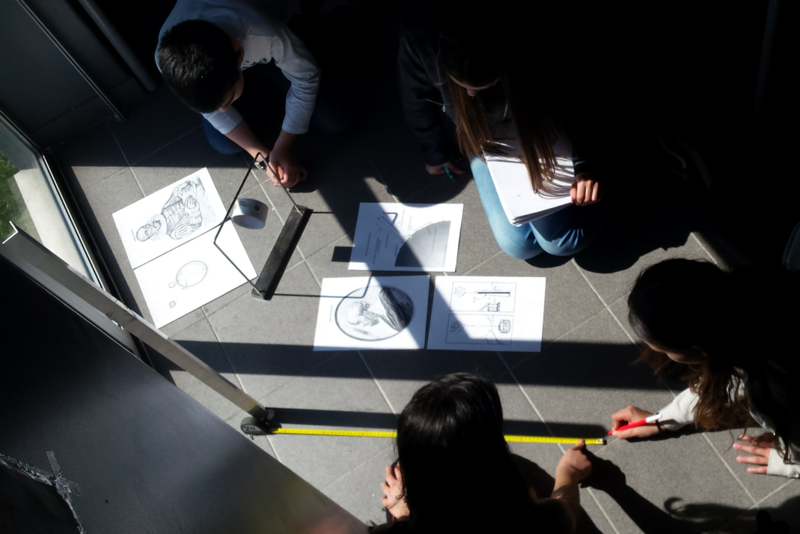 The experiment was a great experience for us and our students! Hello everyone. I'm Susanna Berardo from Cuneo in Italy. 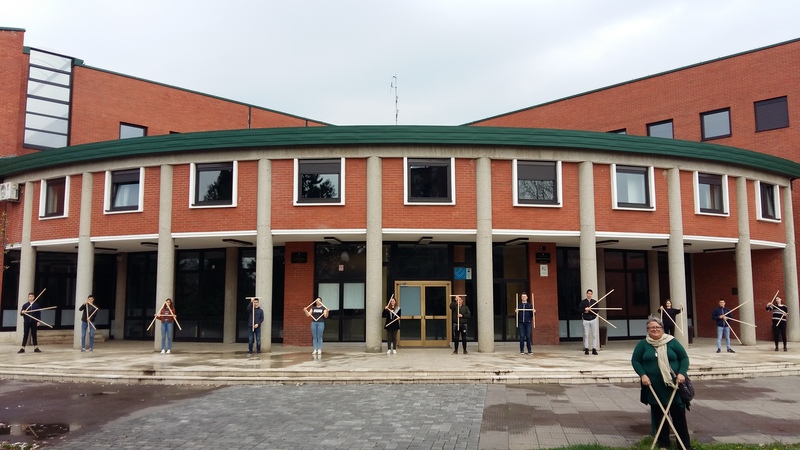 This is, in my opinion, the best photo about our experiment. 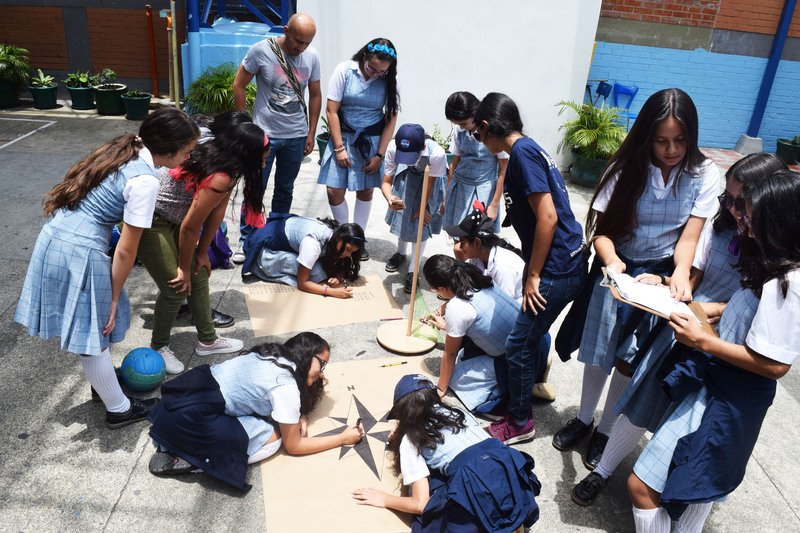 Institución Educativa La Inmaculada, Pereira, Colombia. 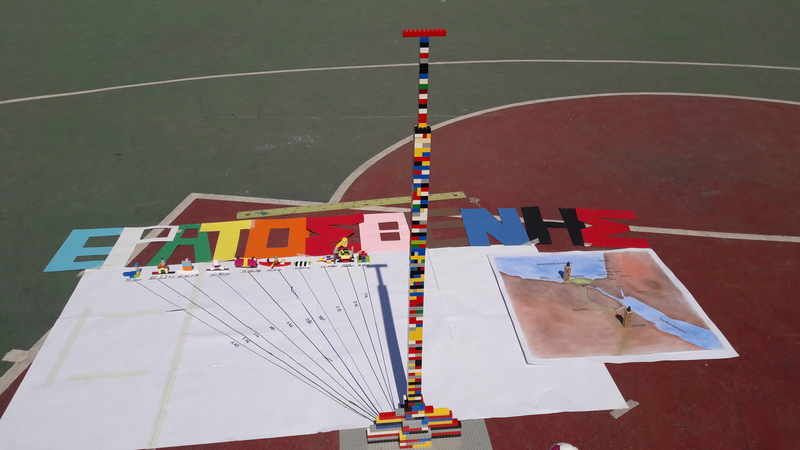 Apoyada por el Grupo de Investigacion en Astroingeniería Alfa Orión durante el proyecto Eratosthenes Experiment 2019. 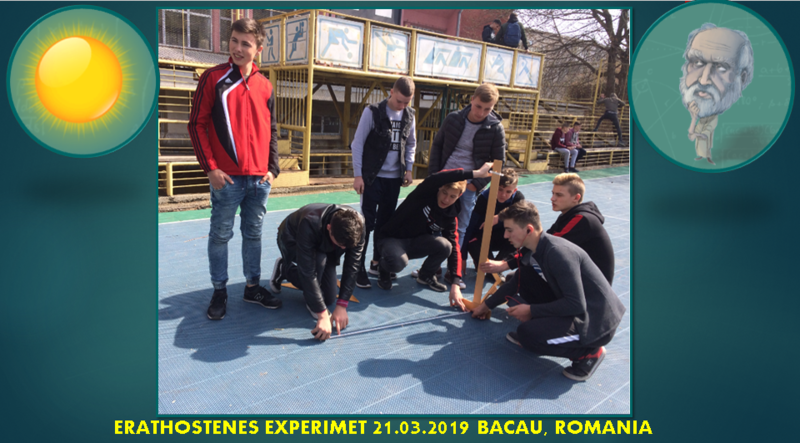 We are from Technical College Dumitru Mangeron, Bacau, Romania. My name is Tania Radu, coordinator of Erathostenes Experiment March 2019. It was a great interdisciplinar leasson. 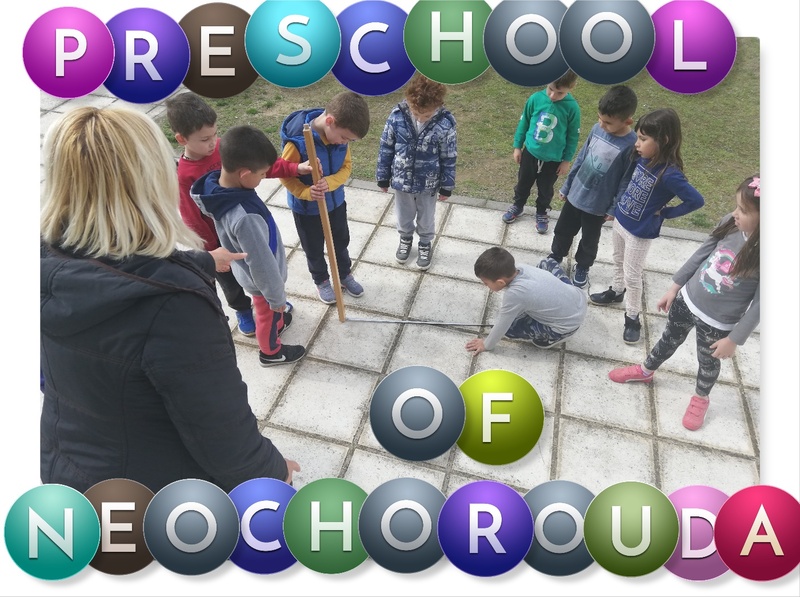 Thanks for sharing your results and cooperating with our School in Samos, Greece! Our high school director helping in the measure. 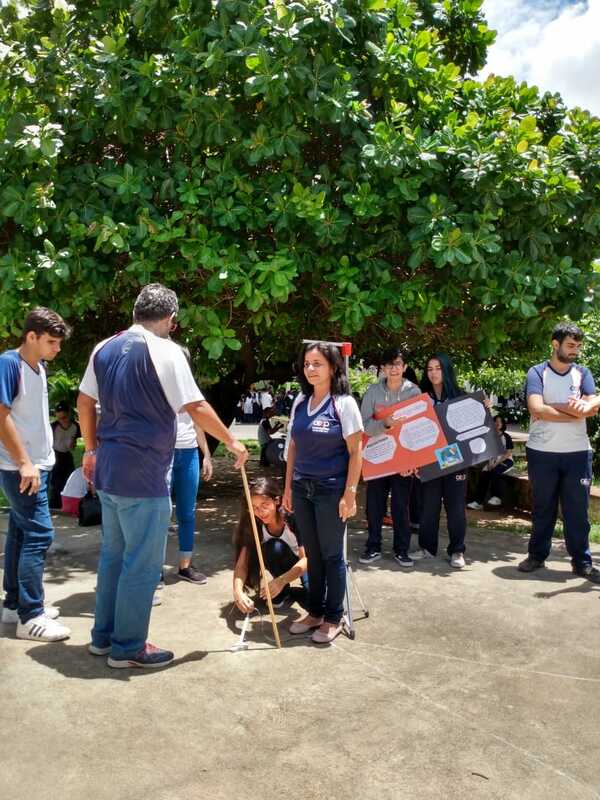 The student measuring her shadow is our Brazilian astronomer Olympiad medalist. 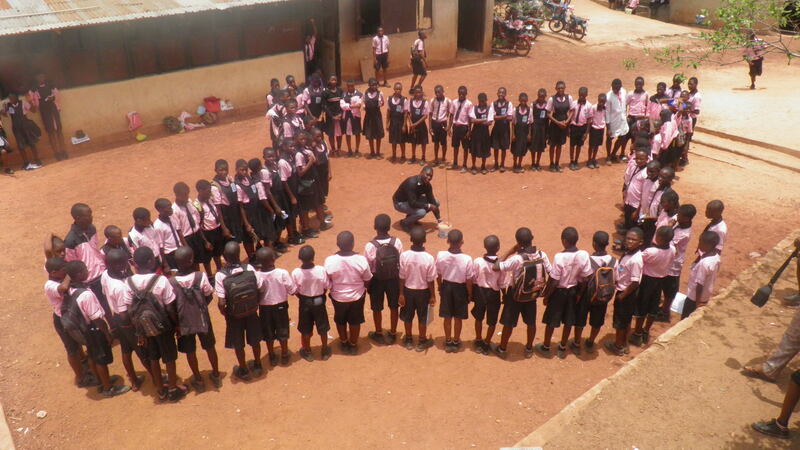 We performed the experiment in Herald Secondary School, Nsukka, Enugu State, Nigeria. We would love to participate in the photo contest. 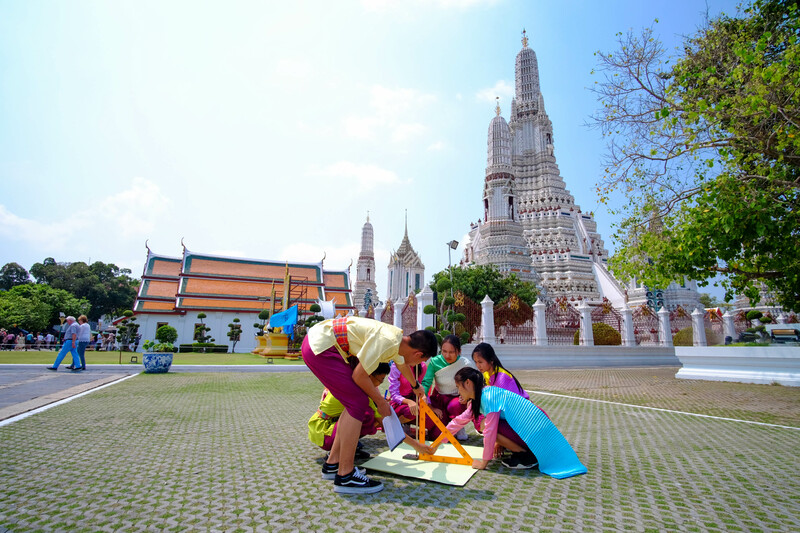 Picture of studenteratosthenes experiment from Matthayombanbangkapi School Bangkok  Thailand. My name is Zeynep KARUL and, I 've been teaching English in Kuşadası Makbule Hasan Uçar Anatolin High School for about 9 years. 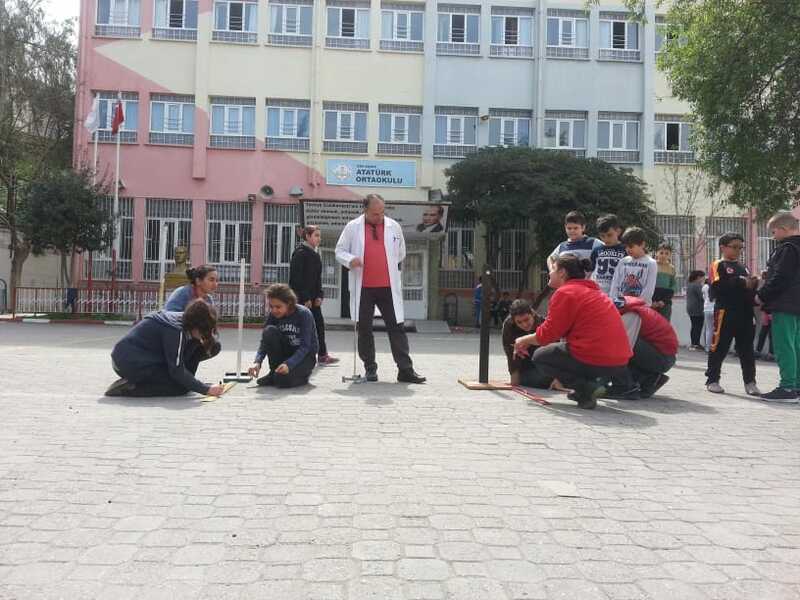 With my colleague Mert KOÇER's great effort and assist our students did an amazing experiment. 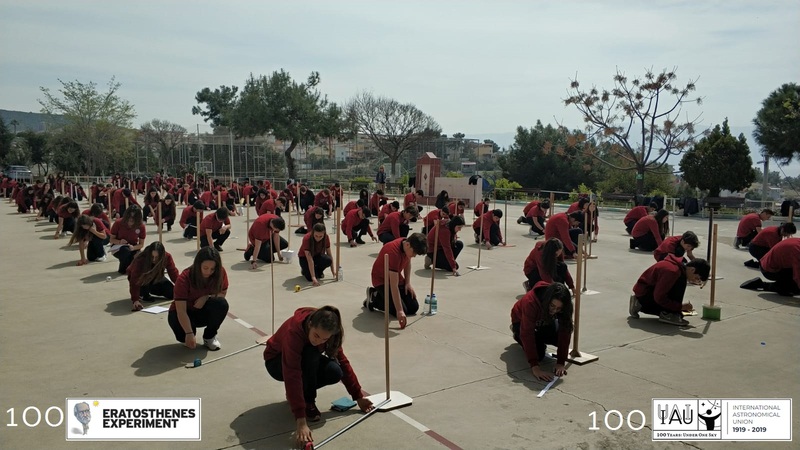 Students performed two activities: Eratosthenes Experiment and Nautical Ring - instrument created by the Portuguese Mathematician Pedro Nunes - then compared results.